Shield volcanoes contrast with stratovolcanoes both in origin and morphology. Their name derives from their low-angle profile, which resembles the personal shields carried by warriors. They are formed primarily by the successive accumulation of fluid lava flows, which descend from summit or flank fissure systems. Although shield volcanoes are not as visually dramatic as stratovolcanoes, they are often much larger features. 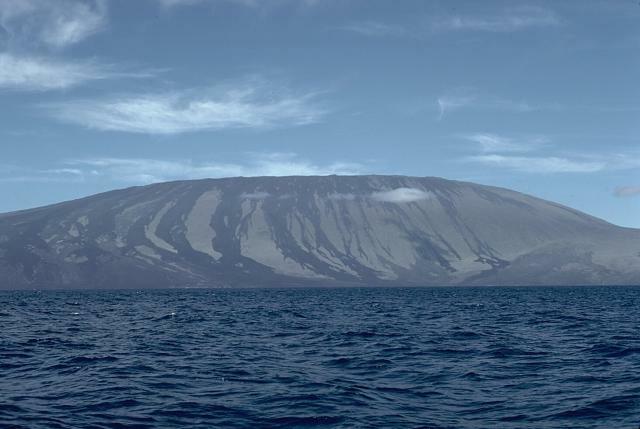 Oceanic shield volcanoes such as those in the Hawaiian Islands can rise as much as 8000 m above the surrounding sea floor and 12,000 m above their actual bases, which have sagged due to the immense mass of the volcano. Their volumes can exceed that of stratovolcanoes by several orders of magnitude. Most shield volcanoes are formed of fluid basaltic lava flows. Shield volcanoes can vary widely in size, and much smaller Icelandic-type shield volcanoes are common in many volcanic regions. These volcanoes can form during single long-term effusive eruptions. A less common type of shield volcano is a pyroclastic shield, whose broad low-angle slopes are formed by accumulation of fragmental material from powerful explosive eruptions. 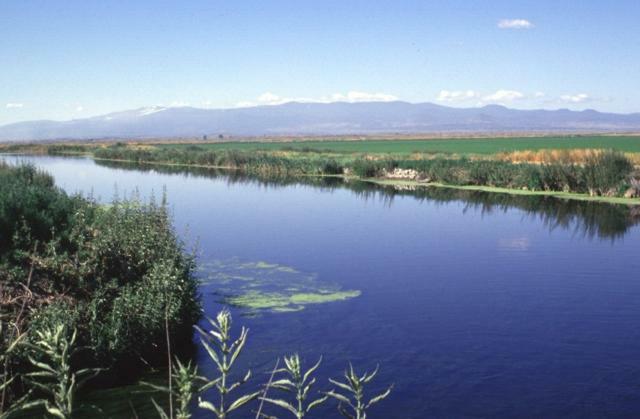 Little Belknap (upper left) is an example of a small shield volcano in a continental margin setting. Little Belknap was constructed on the east flank of Belknap volcano and spread fresh-looking lava flows over the McKenzie Pass area of the central Oregon Cascades about 2900 years ago. Collapsed lava tubes that fed the flows diverge radially away from the summit. 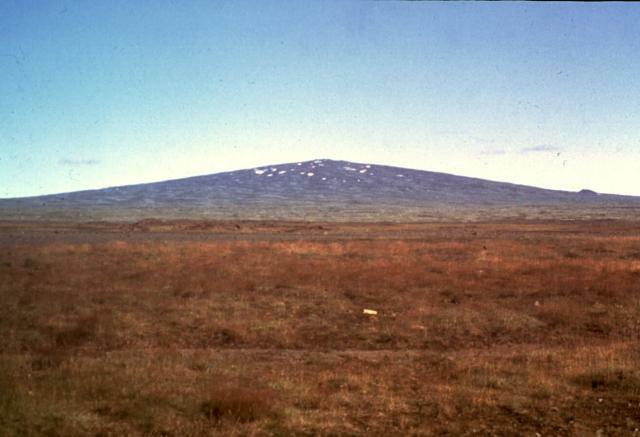 The summit pinnacle of Mount Washington appears at the right beyond the Little Belknap lava apron. Massive Newberry shield volcano covers an area of about 1600 sq km about 60 km east of the crest of the Cascade Range in central Oregon. 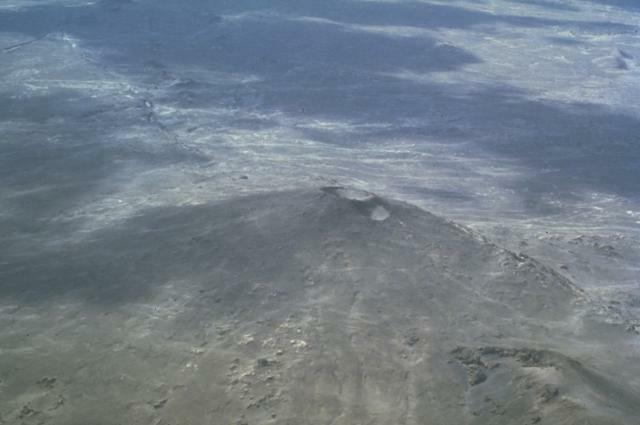 The elongated, low-angle shield volcano covers an area of 60 km in a N-S direction and 30 km E-W. More than 400 cinder cones dot the flanks of Newberry volcano, including Lava Butte cinder cone at the left center of this photo, one of many cones formed around 6100 years ago along the NW rift zone. 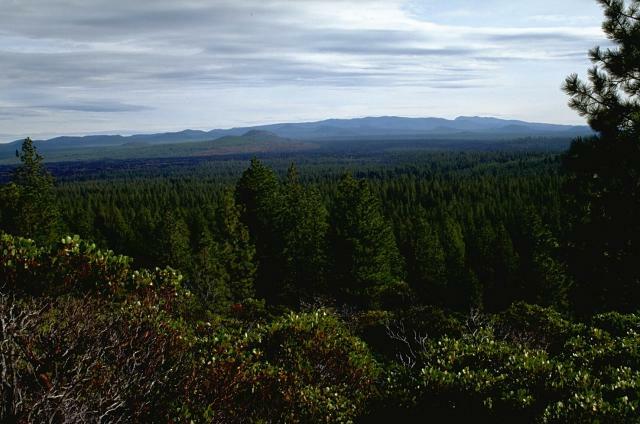 The broad 50-km-wide Medicine Lake volcano in the southern Cascade Range of NE California, seen here from the NE, is an example of a large shield volcano in a continental margin setting. Its chemistry is more diverse than Hawaiian shield volcanoes, and it has produced both basaltic lava flows and rhyolitic tephras and obsidian flows during the Holocene. Eruptions have occurred during the past 6000 years from vents within a 7 x 11 km summit caldera and from other vents on its flanks. 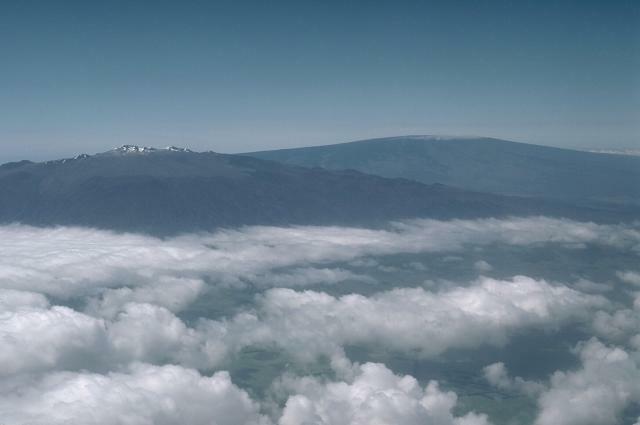 Hualalai shield volcano, seen here from the SE at the summit of Mauna Loa, rises to 2523 m. Almost the entire surface of Hualalai is covered by lava flows of Holocene age. 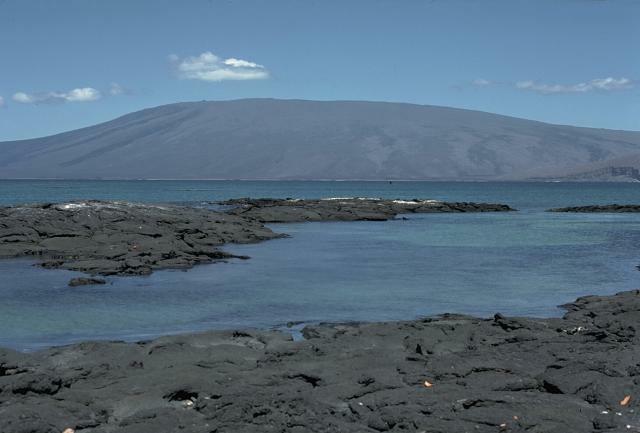 Unlike Mauna Loa, Hualalai has been relatively inactive during historical time. It's latest eruption took place in 1800-01, when lava flows from vents on the NW rift zone reached the sea. This eruption was of particular volcanological interest because of the large numbers of olivine-rich nodules that were brought to the surface by the lava flows. 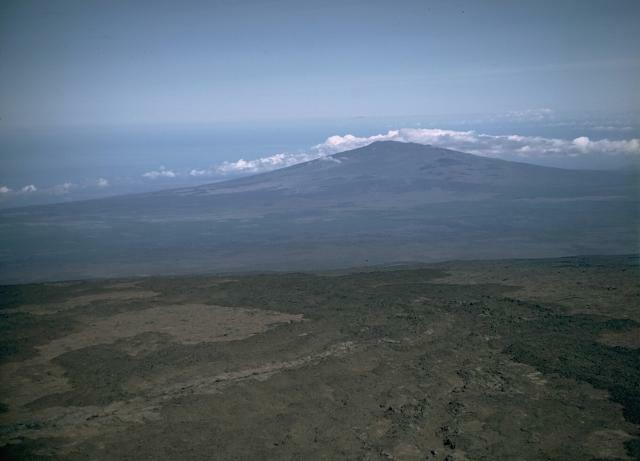 Fernandina volcano displays the classic "overturned soupbowl" profile of Galápagos volcanoes. 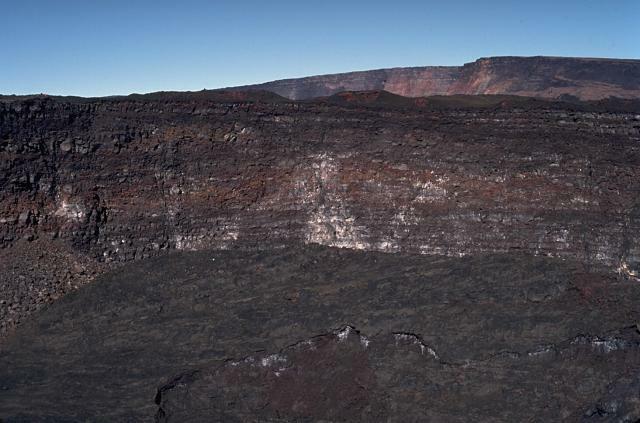 Steep upper flanks formed by eruptions of lava flows from circumferential fissures around a summit caldera rim contrast with the broad, low-angle lower flanks and horizontal flows around the summit. 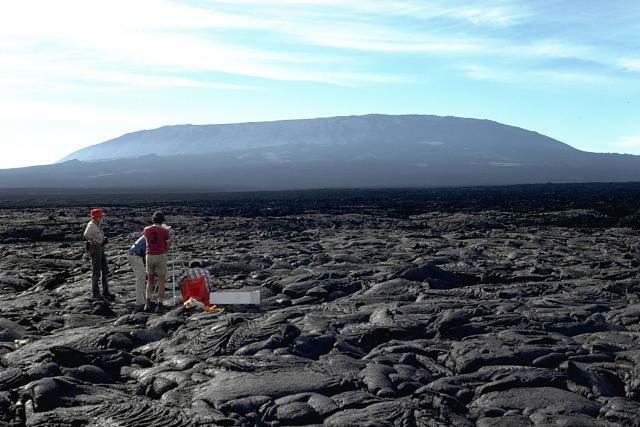 Scientists from the Smithsonian Institution, U.S. Geological Survey, and the Charles Darwin Research Station conduct measurements on a pahoehoe lava flow near the SE coast. 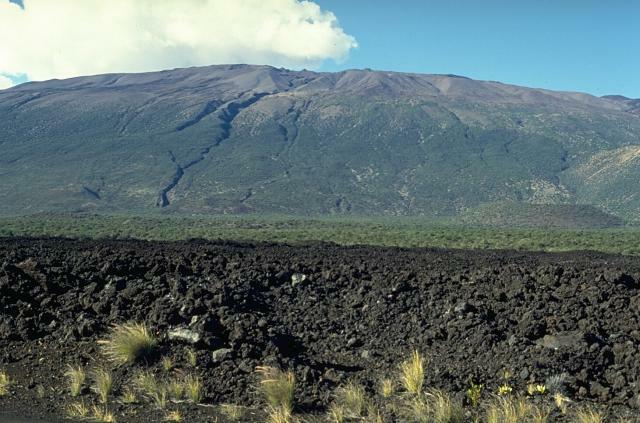 Vast fields of fresh, unvegetated lava flows cover the volcano's flanks. Photo by Chuck Wood, 1978 (Smithsonian Institution). Alcedo is one of the lowest and smallest of six shield volcanoes on Isabela Island. 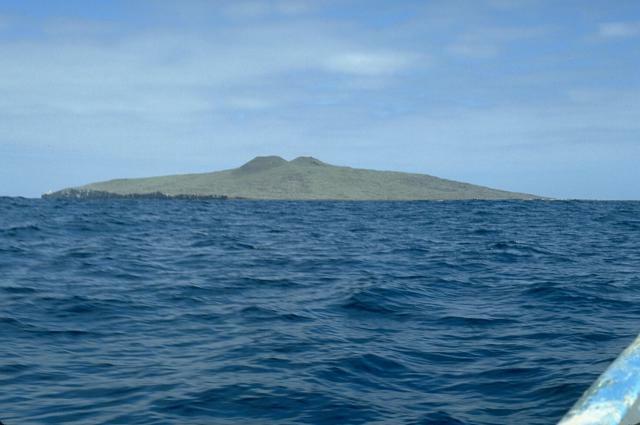 Seen here from the coast of Fernandina Island to its west, Alcedo has a broad 7-8 km wide summit caldera. 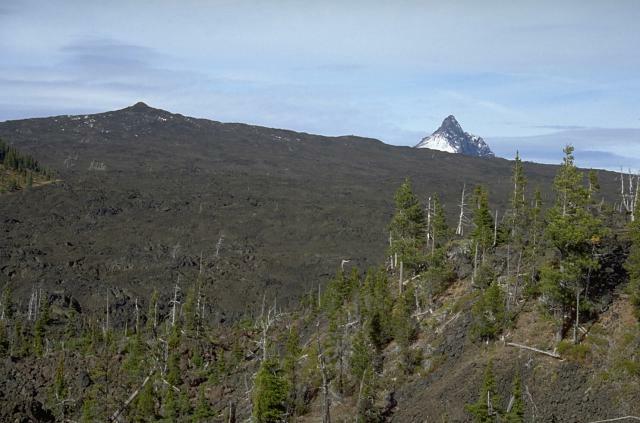 Most of the flanks and summit caldera are vegetated, but young lava flows are prominent on the northern flank near the saddle with Darwin volcano. 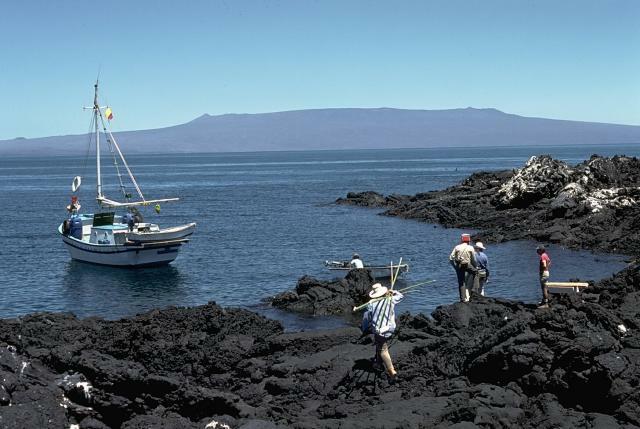 Alcedo is the only Galápagos volcano known to have erupted rhyolite as well as basalt. Only one eruption is known during historical time. An active hydrothermal system is located within the caldera.